Earlier today, Hyundai Motor India Ltd. (HMIL) unveiled the new Hyundai Santro in India. Bookings for the new model commence tomorrow, with the booking amount set at INR 11,100 for the first 50,000 customers. 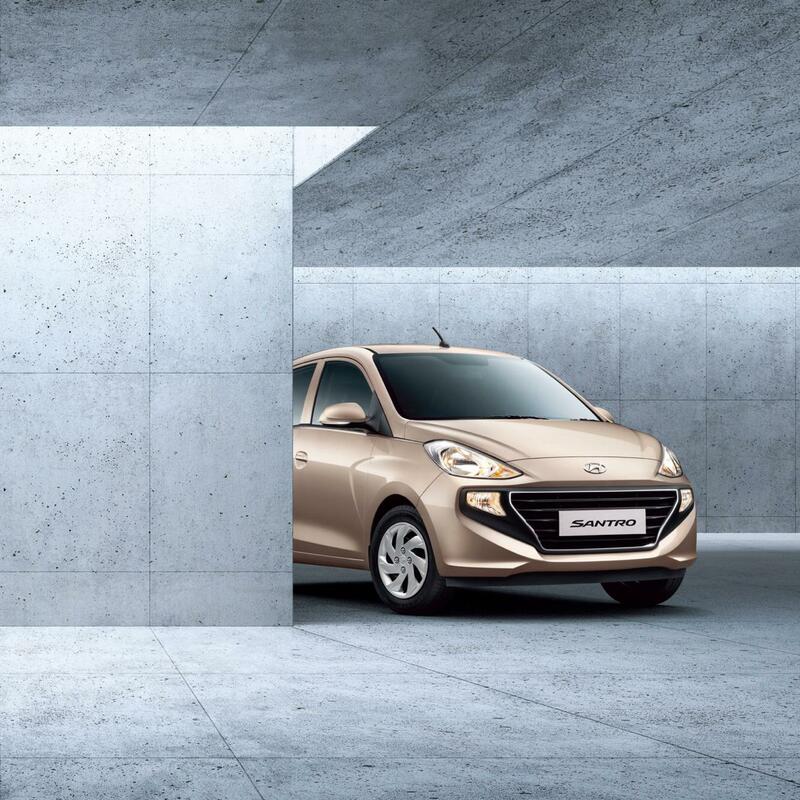 Speaking to IAB, Puneet Anand, Sr General Manager (Marketing), Hyundai Motor India Ltd. revealed that the company will start exporting the entry-level hatchback to various international markets in early 2019. The 2019 Hyundai Santro features Hyundai's Fluidic Design 2.0 philosophy with the signature 'cascading' grille. Powering the new Hyundai Santro is a 1.1-litre, four-cylinder petrol motor that is tuned to pump out a maximum power of 69 PS at 5,500 rpm along with a peak torque of 99 Nm at 4,500 rpm. The engine is available with a choice of a 5-speed manual and a 5-speed SmartAuto AMT gearbox, which is a first for Hyundai. The car has a top speed of 150 km/h, while it can sprint from 0-100 km/h in 14.5 seconds and 16.6 seconds, respectively, for the manual and AMT version. The CNG version develops 59 PS of power and 84 Nm of peak torque. While the petrol variant offers a fuel economy of 20.3 km/l, the CNG model delivers an efficiency of 30.5 km/kg. The 2019 Hyundai Santro comes equipped with quite a few first-in-segment features like a touch-screen infotainment system with Android Auto, Apple CarPlay, iBlue and Voice Commands. 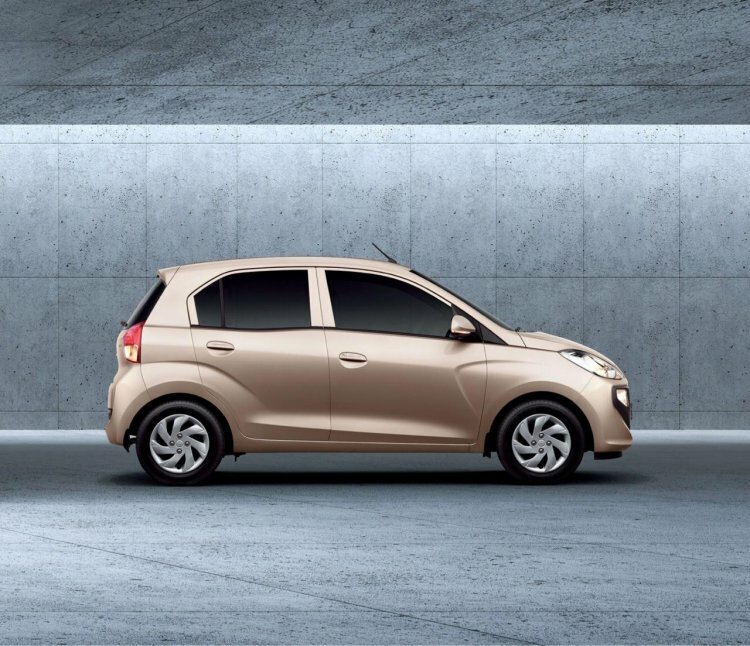 The 2019 Hyundai Santro uses a 1.1-litre petrol engine, mated to 5-speed manual & AMT transmissions. The new Hyundai Santro also features first-in-class rear AC vent. Standard safety features include a Driver-side airbag and ABS with EBD. The new Santro measures 3,610 mm in length, 1,560 mm in height and 1,645 mm in width, while it has a wheelbase of 2,400 mm.